everywhere, and it’s easy to understand why. It’s an addictively delicious sweet iced tea beverage that has small tapioca balls at the bottom that can be enjoyed through a large straw. Not only is the taste of bubble tea iconic, but so is the image of the cup and straw. 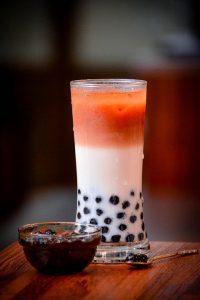 It’s hard to believe that when it was first created, bubble tea was simply cold milk tea that was shaken to create frothy “bubbles” and the tapioca balls were added later! Luckily, you don’t need to go out to a bubble tea shop to enjoy this drink! If you love bubble tea, or even if you’ve never tried it before, it’s pretty easy to make yourself as long as you have the right ingredients. 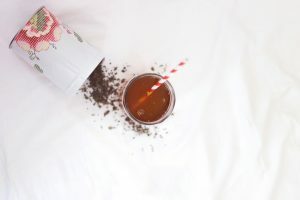 Without further ado, let’s take a look at this easy recipe for a delicious glass of homemade bubble tea! 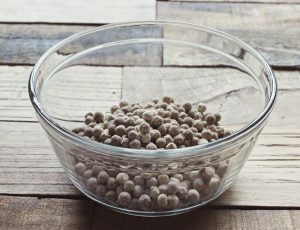 Un-dry your dry tapioca balls (also referred to as boba)! Boba is available to purchase at a lot of online retailers for any of you wondering, it’s even available on Amazon and at Walmart. For every ¼ cup of boba you’ll need about 2 cups of water. Bring your water to a boil in a saucepan, add your boba and stir until the balls start to float to the top of the water. This doesn’t mean the boba is cooked yet, though. To cook your boba, crank up your stove to medium-heat and cook the boba for about 15 minutes. Next, remove your saucepan from the stove, cover it, and let the boba sit for another 15 minutes. We’re still dealing with the boba in this step. 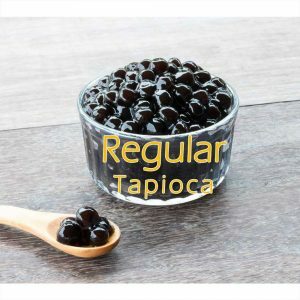 While your boba are spending time on the stove, you’ll want to create a sugar syrup to not only sweeten, but also preserve your boba after it’s cooked. Boil ½ cup of water, remove it from the heat, and stir in ½ cup of sugar until it’s completely dissolved. That’s it, you’re done with step 2! Some might say this is the most important step: choosing your tea! Now, you can choose any flavor tea that you’d like for your boba since you’re at home and the world is yours! Well, at least your pantry is. 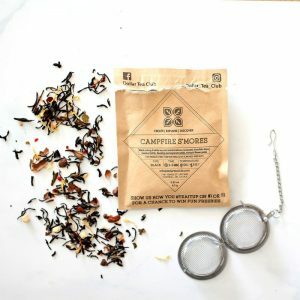 You can choose from a tea you currently have, or try one of our fantastic tea blends. Not big on sweetness? Go with a Classic Black blend like Earl Grey or English Breakfast. Like a fruity flavor? Tropical Mango and Tutti-Frutti are some mouth-watering fruit blends (and they’re caffeine-free!). Once you’ve settled on a blend, boil 1 cup of water and add in your loose leaf. Wait 15 minutes, and then remove your leaves and let the tea cool. Why 15 minutes? By over-steeping our tea, we’re giving the leaves a chance to release much more flavor. This gives us a more flavorful, stronger tea, which is important as we’ll be diluting this blend later on. Once your boba is fully cooked, remove them from the water and move them to a small bowl. Take your sugar syrup that you created in step 2 and pour it over the boba until they’re fully submerged. Let the boba sit like this at room temperature for at least 15 minutes, or put them in the refrigerator if you’re not planning on using them immediately. They’ll last in the fridge for 2-3 days if you want to save them for future use! That’s right, it’s time to combine your ingredients to make your delicious bubble tea. Pour your steeped tea of choice into a glass and add your sweetened boba. 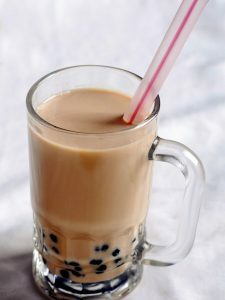 For a nice and creamy bubble tea, add some milk! For a fruity tea, add a fruit juice of your choice! And for a plain tea, add just a little extra water. If you’re looking or a sweeter tea, you can add some of the simple syrup you soaked your boba in. Whatever floats your boat! We love this recipe because it’s so customizable. Rather than going to a bubble tea shop and choosing from a menu, you get to create exactly what you want, when you want it. Check out our Journey to explore the world of loose leaf here. 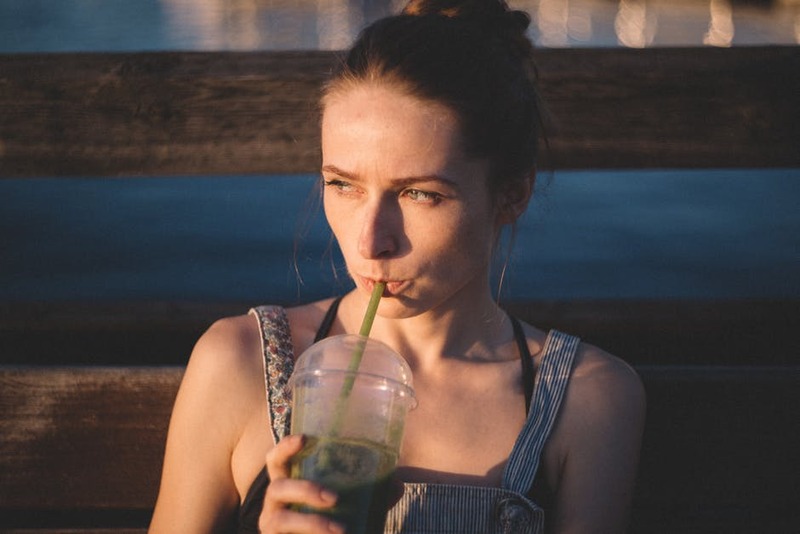 This entry was posted in Recipes and tagged bubble tea, bubble tea places, bubble tea recipes, dollar tea club, healthy, healthy recipes, lifestyle, loose leaf tea, natural tea, natural teas, Recipes, subscription, tea.